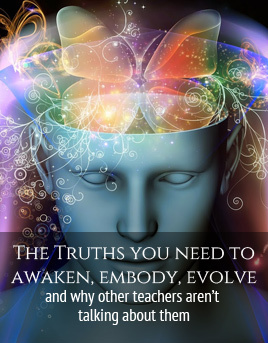 Welcome to Awakening the Unconscious! About Awakening: Awakening is a term used in many senses and ways – here in this talk Sonya specifically means Awakening Beyond your understanding of small self to realize your True Divine Nature, it’s oneness with all things, and the Infinite consciousness that moves through you as you and all of life. 3. Connect to your inner wisdom before, during and after watching the video. Usually people connect to their Inner Wisdom in their heart or gut; just place your hand on your heart or gut and breathe into your Wisdom Center to connect to it. 4. After the video, write down any insights that you have, including anything your Inner Wisdom feels, senses, and knows. 3. And of course please share your insights and ah-has! Email Sonya (at) illuminatedwisdom.com.